Remodeling your kitchen doesn’t have to break the bank. 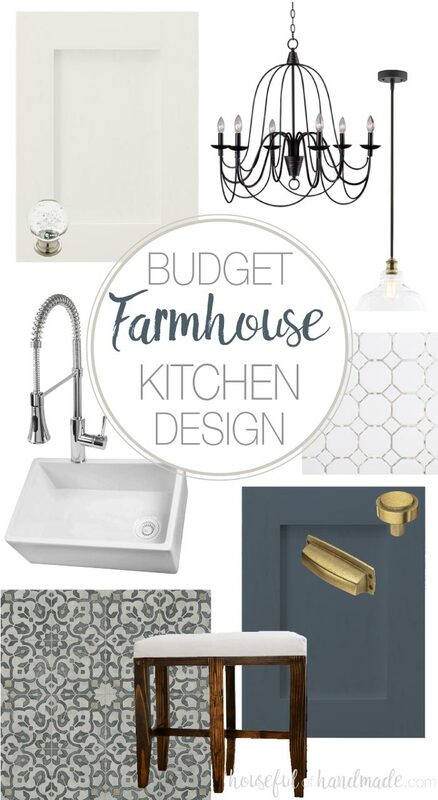 See our plans for a budget farmhouse kitchen renovation. We will be completing the kitchen in just 6 weeks at a fraction of the cost of a normal kitchen remodel. I am so excited to be a guest participant in the One Room Challenge™ by Calling it Home for the first time! I am no stranger to room makeovers and love the tight deadlines (otherwise things never get finished). But I am not going to lie, I am a bit nervous about this month’s project… THE KITCHEN! 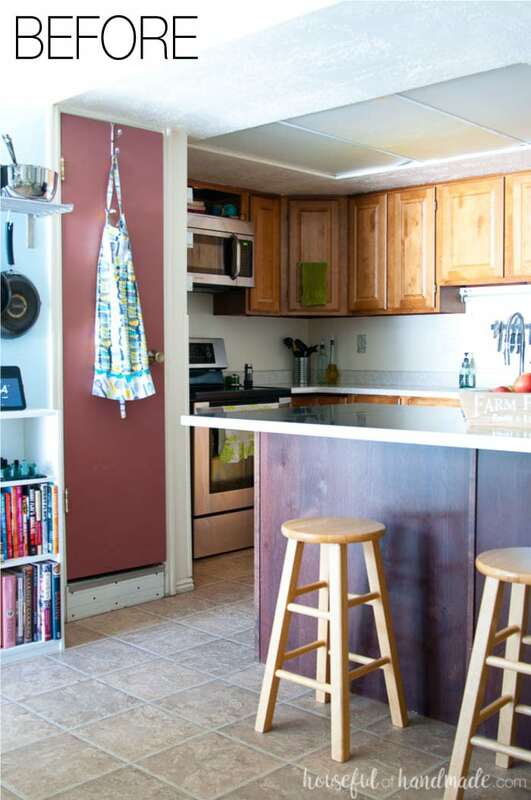 We are completely gutting and remodeling our 1979 kitchen to a bright, modern, farmhouse-esque kitchen. Good thing there are 6 weeks for the One Room Challenge™. 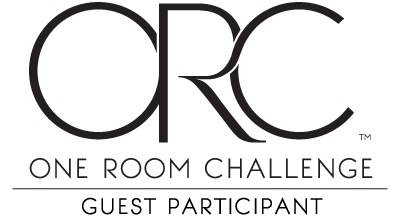 If you haven’t heard of the One Room Challenge™ (or commonly known as the ORC), it is a big design challenge where lots of the home decor and DIY bloggers take on a room remodel in their home. Every Wednesday the Featured designers post their room updates and every Thursday the Guest Participants do. There will be tons of design inspiration for every room of the house. And at the end of the 6 weeks we get to reveal our new beautiful space. You can visit One Room Challenge to see all the other participants rooms. Because I am always on a remodel budget, of course we are still doing a budget kitchen. Did you know that the average kitchen remodels can run $35,000-$55,000 dollars? Yikes! I do not have that kind of money lying around (and even if I did, I would still want to stretch it as far as I could so I could do multiple rooms). But I want a kitchen that looks like it was remodeled for $50,000. So what’s a girl to do? DIY it of course! The biggest part of a kitchen remodel are the cabinets. 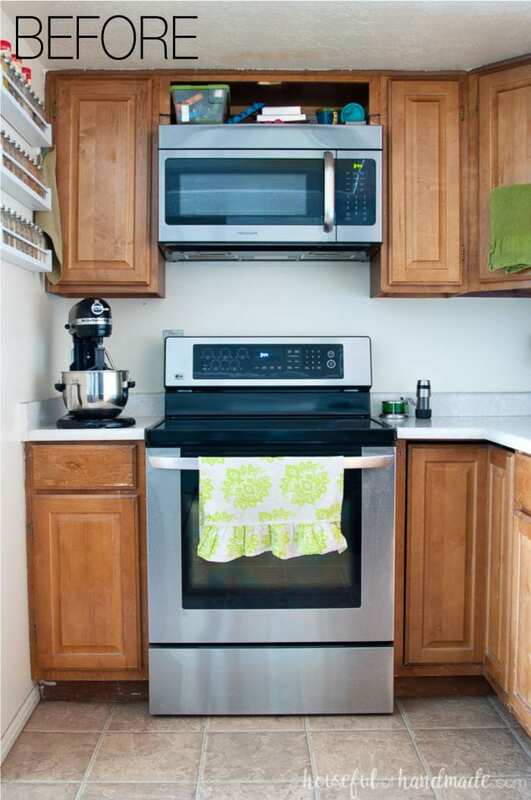 Cabinets are vital to a kitchen, otherwise where would you put all your kitchen stuff. And if you are anything like me, you love your kitchen gadgets so you have lots! And kitchen cabinets can cost a pretty penny. Most people would not even think about building their own though, even if they have some woodworking knowledge. Why? Because they seem like a hard project, but they are not. Cabinets are a serious of right angled boxes (except the corner cabinets that require a bit more thinking). So I decided to tackle DIYing my own kitchen cabinets. If you have been following along with me on Instagram you will know that I have already started building. Actually all the cabinets boxes are done and I am half done with face frames. 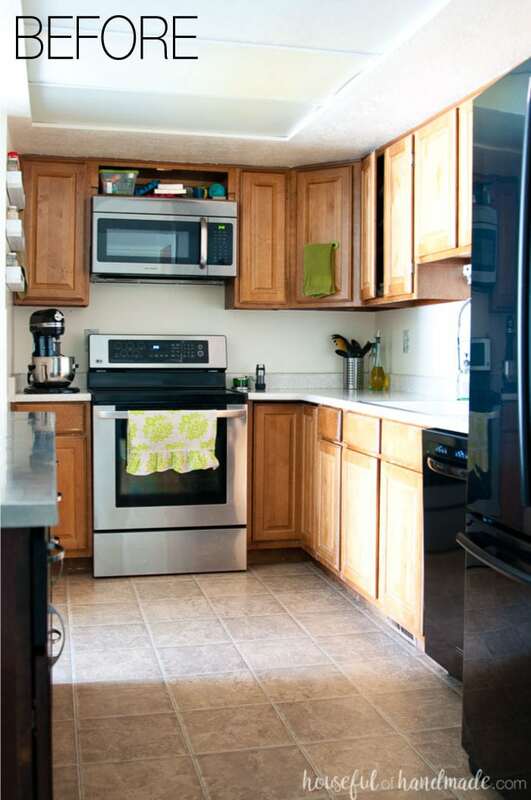 I will be sharing blog posts with all the information you will need to build your own kitchen cabinets (hint, it doesn’t even require lots of expensive tools). So building our own cabinets and doors will end up costing us around $2000 for all the cabinets in our 15′ x 9′ kitchen (excluding the island since we just got a new one 3 years ago). The same cabinets from Ikea would cost around $6000 and upwards of $10,000+ other places. That is the first big budget savings and my husband is super happy about the $4000+ savings. 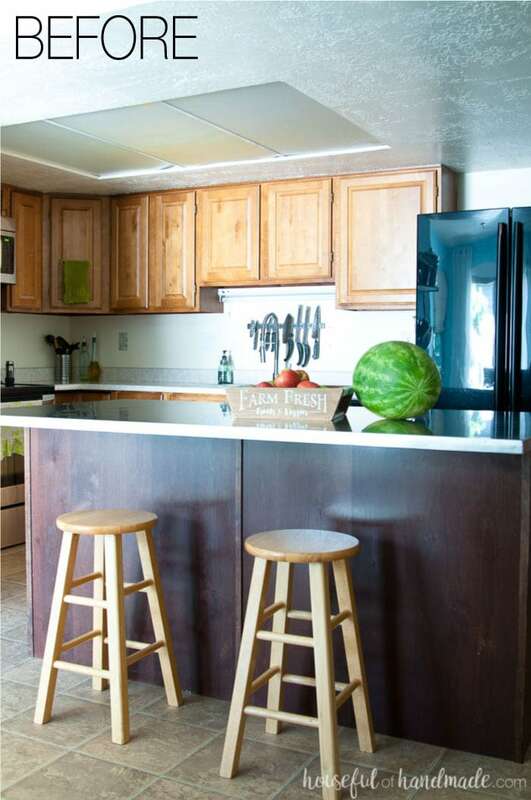 We are doing other budget friendly options for our kitchen, but that does not mean we are skimping on style. We will have all the farmhouse charm of a much more expensive kitchen remodel and will be sharing all our secrets along the way. So what is the plan for the kitchen. First thing is to remove the wire drop ceiling. Since our kitchen is open to the dining room, I never understood why they did a drop ceiling. We are also removing the 2 deep, but narrow, pantries. Things just get lost in there way to easily. Instead I am opting for a pull out pantry cabinet complete with lots of drawers so nothing gets lost in the back corners. Once we have our clean slate, we will be adding in cabinets. I love white kitchens because they are bright and open. And since our kitchen does not have a window bright is important. However, I also love a bit of color. 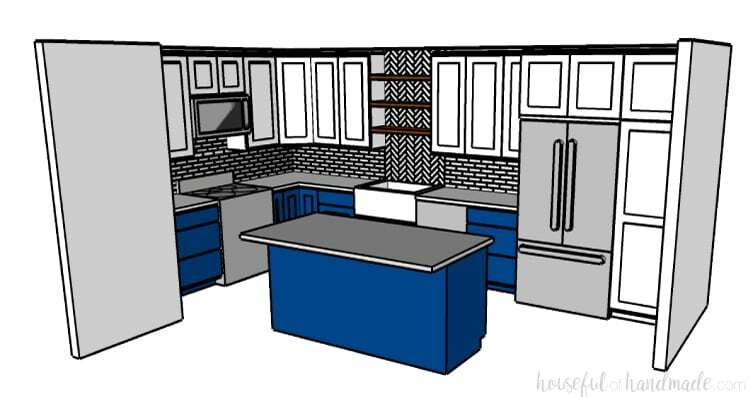 So we will have our bright uppers and using a grayish-navy color for the bottom cabinets (including the island we are keeping from before). I will also be having some fun with my cabinet hardware, feminine on the upper white cabinets and masculine on the dark lowers. It’s my take on a mullet… party on the top? The flooring will have a bit of a party too with a fun printed tile pattern. I have been in love ever since painting our laundry room floor with a patterned tile stencil. And there will be classic farmhouse elements like a large basin sink and white tiles (but in a fun pattern). The whole kitchen will be a dream come true! Now it’s time to get to work, this kitchen will not remodel itself in 6 weeks! But stay tuned for lots of kitchen goodness all month. I am doing a 100 year old farm house. I have the same kitchen lay out. However I am having my bar much larger and no table. It is just me. With my daughter and her family it is 4. Please keep ideas coming. Please address colors for interior wall colors. I have no idea what color tho use. Paint whole house the same or bathroom a color different etc. Thanks. How exciting to update an old farmhouse! I do not paint all my indoor walls the same color. But they all coordinate. If you put them all on a piece of paper, it would look like a beautiful color palette (I can work on a post to help explain that better). One thing I do love is to use lots of neutrals in expensive places (kitchen cabinets, large furniture, etc) and add your color on cheaper to change places (walls, decor, small pieces of furniture). That way if your tastes change you can change things without breaking the bank! Love your design plan! Those tile choices are stunning!! Can’t wait to see the final reveal! Thanks so much CoCo! I am feeling the strain of taking on a big project but things are starting to come together!!! I am so thankful for your support! I’m really looking forward to seeing how your cabinets came out. Love your mood board. Those tiles look gorgeous! We remodeled our kitchen years ago. Would love to replace our floors. Good luck! What are you doing for countertops? I am kinda in the same situation, remodeling, but am not independently wealthy!! Also, what resource did you use to help you with cabinets. Finally, what type of wood did you use for them? We are using quartz for the countertops Kris. I was very straight forward when I went to buy them and asked them to show me the lowest priced option. He showed me the options and I picked my favorite from them. I have read and watched many different tutorials about building kitchen cabinets and making something that will work with what I have to work with. I promise to share soon, but the kitchen is taking up so much time so it might be a couple more weeks. To build them I used pre-finished maple plywood for the boxes so I didn’t have to sand and seal the insides and for the face frames and doors I am using poplar. It is a great inexpensive hard wood for painting, but the coloring isn’t the best if you are staining the wood. Birch is a good option for staining. Also, check in your area for a local lumber yard instead of going big-box for the wood. It is usually better quality (straight boards) and cheaper. I bought all mine a MacBeaths and they are fabulous. Let me know if you have any other questions. And I will definitely be getting more posts out for you! I too am 83, and my hubby and I can no longer do this kind of projects. Glad to see someone do them and succeed. You go girl, and good luck to you, i hope your kitchen turns out just the way you want it. Thanks Lollie! I love the feeling of accomplishment, just wish it didn’t come with a sore back. I am excited to see how it all turns out though. I’m eager to see how it turns out also. Good luck! I am so looking forward to this remake! You amaze me with your can-do attitude! Go girl!!!! At 83 I can no longer do these projects but I can live thru you and enjoy the beauty you create!!!!! Thanks so much for adding another bright spot to my day!!!!!! Ha ha! Sometimes people think I am a bit crazy with my can-do attitude, but I am sure going to try! Thanks for the encouragement and I hope you enjoy following along! Looking forward to seeing more….have fun! We redid ours a few years back and love it so much. We too were on a strict budget, it can be done. Thanks for the beautiful digital background. Thanks so much Patti! Ia m so excite to finally be able to tackle this room (it’s been on my list for 13 years) but know I cannot spend a fortune. Enjoy the backgrounds! Love the tiles in your mood board. And I’m impressed with building your own cabinets, can’t wait to see how it turns out! Thanks so much Christina! It’s a big project, but I love that we can do it ourselves.